FogPusher operates on a point pricing structure to ensure you are getting the greatest value for your investment. Rather than charging on an hourly system and planning out every step of the way, our point system retainer simplifies the arrangement and is designed to be flexible – enabling us to deliver what you need, when you need it, in a comprehensive way. We offer a variety of traffic generation services ranging from inbound marketing to PPC ads to social media and email management. In order to maintain the attention of your most valued cleints, you must attract them with a relevant message then engage them in a relevant way. In order to maximize both the quantity and quality of the leads generated, your content must be designed to attract that audience specifically. FogPusher consulting services provide the best of both done-for-you and DIY services, to suit your specific needs. Our consulting services are available in per hour blocks and hours cover our live consulting time and/or hours of work required to suit your particular situation. Consulting services purchased in individual hour blocks start at $120/hour and are reduced with larger block purchases. 5 hours blocks can be purchased for $110/hour. 10 hour blocks can be purchased for $100/hour. For the mortgage industry, all 10 hour blocks come with a chatbot lead generation template, Realtor lead generation campaigns that I have used to generate many thousands of Realtor leads using Facebook ads, and a variety of other lead generation resources (no hour. Hours may be used to help you set up these resources or for other purposes, but these resources are included whether you use the hours for that purpose or not is up to you. For larger projects, we will provide a per-project package. You must be approved for consulting services, as we will not work with just anybody. We will only accept you if you are in a situation that we know can help. This is a new addition to our service offering – if you have already filled out a different questionnaire, please just email us. Select from one of the plans below or customize your own. FogPusher’s entry lead generation module ensures smaller companies that their quality traffic needs are being met within the means of a tighter budget. Inbound marketing, content generation, email, and social media campaigns based on point system. FogPusher’s most aggressive inbound marketing, paid traffic, email, and social media management program, Enterprise is ideally suited for companies seeking truly aggressive growth in traffic and leads + our full suite of capabilities. Most Comprehensive Plan. No cracks left uncovered in your lead generation efforts. The advertising world is changing and over 200 million people use ad blockers on their browsers. Inbound marketing strategy enables your business to be discovered by the most ideal clients, which we outline in our initial client profiles we create with you. This module involves an audit of your website’s on-page and off-page search engine optimization, social media, advertising campaigns, and other performance metrics and key performance indicators (KPI) to gather a baseline. We research and help you identify profiles for your most ideal customers and create personas so all future efforts are directly addressed to meet their specific needs and points of attraction. This also enables us to gear all future content generation efforts specifically to address the pain points of your most ideal clients. This foundation sets the stage for your business’ inbound marketing success. Our team works together to make lead generation magic happen. Your custom-crafted inbound marketing strategy is designed to ensure the most direct route to success. No prospect gets left unattended to with our dynamic, AI based web visitor engagement solutions designed to engage your web visitors in a conversation immediately when they reach your site. Lead generation chatbots designed to answer prospect questions and qualify/route them based upon their particular situation. Sync the prospect engagement strategy with your inbound marketing strategy. Setup and management of dynamic forms and a variety of lead capture tools designed to engage and convert your most valuable prospects and keep their attention long enough to collect their information. There will be no website gaps slipping through the cracks with our website performance evaluation and optimization, where we get a feel for your page load times, bounce rates, and more – to ensure your website is fresh and best-optimized to strategically attract and engage your highest-valued clients. You will always be directly in the loop in terms of everything we’re doing and when/how it is being done. Our weekly strategy and review session meeting agenda will be complete with agendas and recap notes so everything is clearly discussed, addressed, and we keep on moving forward with your campaigns. Ideal buyer personas are the foundation of our marketing and lead generation efforts. We take the time to discuss your most ideal previous and dream clients to craft a true representation of your most ideal buyers. 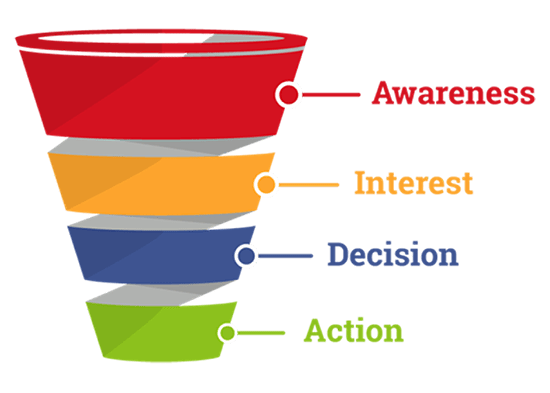 In this way, your content will be designed specifically to resonate with those individuals, which enables us to navigate them down the marketing funnel. Define and design their buying journey, crafting a content game plan designed to reach these people at the most ideal points, with the most ideal messages, along their journey. We help you sync your accounts and set up automated content publishing across your most important social media outlets. Create persona/keyword-specific social monitoring streams to track mentions, back-link opportunities, media opportunities, and more. Content offers are a fantastic lead generation tool that helps your buyers solve specific problems along their buying journey. We base the content of these content offers around your personas, industry research, and your insights. Your return on investment (ROI) is our top priority. Our monthly strategy sessions allow us to collaborate with you and discuss any adjustments that need to be made in our approach to achieve and exceed goals. Search engines are constantly evolving in ever-increasingly relevant and organic ways. This is not something that you can just set and forget – and not tend to on an ongoing basis. This includes analyzing your competitors to see what they are doing in relation to where you are, evaluating ideal buyer personas to identify intent-based searches made at different points throughout the buyer’s journey. It all comes down to ranking – and this optimization process enables us to strategize and do whatever is necessary to outrank your competitors. Utilizing email ensures your message gets out to your contacts about new articles, press releases, and new content offers. This helps us move them through their buying process by adding value throughout their journey. Utilizing conversational marketing and engagement strategy is what ultimately will set your lead generation efforts apart from everybody else. Consumers have plenty of options and by engaging them in a conversation about their situation, when they are ready to talk, we can help navigate them as they continue feel as if they are in control of the pace of the engagement. Google My Business is can be one of the most effective resources for organic inbound search engine traffic. We have helped businesses triple their revenue just from local SEO alone! Customize our specialized lead generation and digital marketing services to suit. So long as your content is quality and directly relevant to your ideal buyer – more is always going to be better. Our advanced content addon provides you with access to a copywriter who goes knee-deep into your industry and world. Having additional blogs and content sources across the internet means more indexed pages, which gives your business the extra opportunity to rank and be seen by searchers with intent to purchase. Examples: ebook, whitepaper, tip sheet, SlideShare, etc. Businesses have taken social media by storm – and there’s no signs of a stoppage. That said, having a strategized approach is more important than ever; this includes timely interactions and conversations with your followers to both spread word of your business and build rapport. Adding these additional points means your social media channels get in-depth attention and individualized strategy and imagery, since each platform appeals to different audiences. Primary: Facebook, LinkedIn, Twitter & Google+, Instagram, Pinterest, Snapchat, etc. Use some of your hours to generate business for strategic referral partners! Create, run, and manage lead generation campaigns for strategic referral partners. Create chatbots, content, advertising, you name it. Utilize our paid media expertise, Google certifications, and all-around paid traffic genius to take your business to the next level. Paid traffic offers one of the most direct high-quality lead generation traffic sources available. Luke Summerfield, a Program Manager at HubSpot, developed Growth Driven Design (GDD), a web design methodology that’s changed how website designs are done. Rather than launch a website without knowing how it will perform, GDD makes incremental improvements to a launchpad website based on hard data, including user engagement, heat mapping, and other strategies. From there, the framework of “Plan, Build, Learn and Transfer” is continuously cycled to maintain peak performance. In order to capture high-quality leads, we must have professional and dynamic landing pages in place designed to help us do just that. We will design the landing pages, dynamic/conversational forms, chatbots, and everything you need to start generating high-quality leads immediately. We provide you with the tools and resources you need to be successful, including video instruction on how to use each aspect of the system and ad templates/strategy instruction. You manage it yourself. FogPusher’s DIY solution is most suitable for the technically-inclined or for those who have technically-inclined employees willing and capable of learning and following direction. We teach you all aspects of inbound marketing, conversational marketing, lead generation, dynamic form setups, PPC ads, Local SEO, On-Page and Off-Page SEO, strategy, theory, etc… Everything that we offer we will teach you how to do. Your subscription includes a lifetime membership to the course-style structure in which this is presented. Includes templates for: Website, Landing pages, Lead Generation Chatbot, and Dynamic Forms. Includes weekly group support sessions, video content, weekly group support sessions, and the highest-quality educational content on high-ticket lead generation you will find anywhere. We give you the resources, then you figure it out. Content will be created and provided as done-for-you projects are completed (quickly). All bots are provided on the FlowXO platform. Includes a purchase flow’, refinance flow, and a talk to a human flow. Not available in any point packages. Includes some instruction regarding overall usage of FlowXO for this specific purpose. 30 minutes of technical direction included. If you need assistance, one of the other packages will be better suited for you. Delivery within 1 business day. Includes customization for your personal needs, integration with Google Sheets, and integration with your CRM of choice. Also includes customized notifications to suit your personal preference. Consultation, configuration, installation, and testing included. If you don’t want to have to figure out how to build a chatbot yourself, but you’re on a budget. this is for you. Includes a purchase flow’, refinance flow, talk to a human flow, and FAQ integration. Includes customization for your personal needs, integration with Google Sheets, and integration with your CRM of choice. Also includes customized notifications to suit your personal preference, FAQ integration, and Live Chat integration. If you don’t want to have to figure out how to build a chatbot yourself, and you want a solution that does more than just take inbound leads,. this is for you. Having direct experience in the mortgage, real estate, and insurance busiensses gives us a direct edge over the competition when it comes to lead generation in those industries. We’ve worked with businesses of all shapes and sizes and have even had great success with inbound marketing on this website you are on now. In the past, you had no choice but to hire a designer, developer, and a marketing manager to put together a lead generation campaign like we do. We consoliated, tested, and simplified the entire process to enable us to manage it. This is more than just a job for us – digital marketing and lead generation are our passion. Schedule a call with us today so we can chat about your business goals to see if they align with ours. It’s the only situation in which we would take on your work, anyway. Schedule an available time below to chat.